What does creativity look like? What makes individuals creative? What might hold them back? Interestingly, your answers to those questions may be different, depending on where you live. In one recent study* researchers surveyed teachers in China, Germany, and Japan to find out how they envisioned creativity, whether they thought creativity could be exhibited in schools, and what factors they believed supported or discouraged it. Across the three countries, there were interesting patterns of agreement and disagreement. Teachers in all three countries saw creativity as reflected in divergent thinking and novelty. They believed it can be developed, and that it is more easily exhibited in art and science than in the social sciences. Overall, they did not believe creativity was related to school achievement. Creative students were perceived as imaginative, original, curious and willing to try new things. 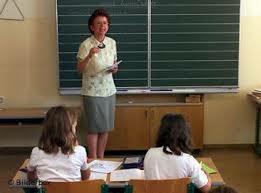 But there were also differences among teachers in different countries. Japanese teachers were less likely to believe creativity could be developed than teachers from the other two countries. German teachers were the least likely to think creativity is related to school achievement. Chinese teachers, as compared to Japanese teachers, were more likely to believe creativity can be seen in math and science, but less likely to be seen in literature. Interesting. And teachers from different countries had different views on how to support creativity. Chinese teachers believed that the best way to support creativity was to teach critical thinking—which makes sense if you envision creativity primarily in science and math. German teachers were more likely to believe supporting independence is crucial. Each of us, like the teachers surveyed, is shaped by our culture. The way we think about creativity affects where we see it, how we encourage it—and the ways we interact with our students. So, what do you think? Can we see it more in some subjects than others? Do you really believe we can encourage it? What would discourage it? Consider how your answers have been affected by your experiences, your schooling, and your culture. While we can never entirely put aside our cultures, we can become more aware of them. The ways we think about creativity matter—and that’s something worth thinking about. *Zhou, J., Shen, J., & Wang, X., Neber, H. & Johji, I. (2013) A cross-cultural comparison: Teachers’conceptualizations of creativity. Creativity Research Journal, 25(3), 239–247. « How Do We Measure Winter?